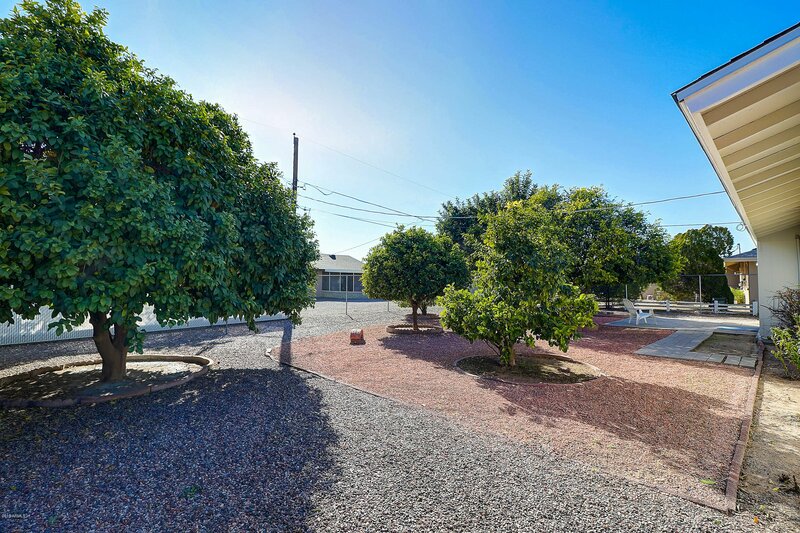 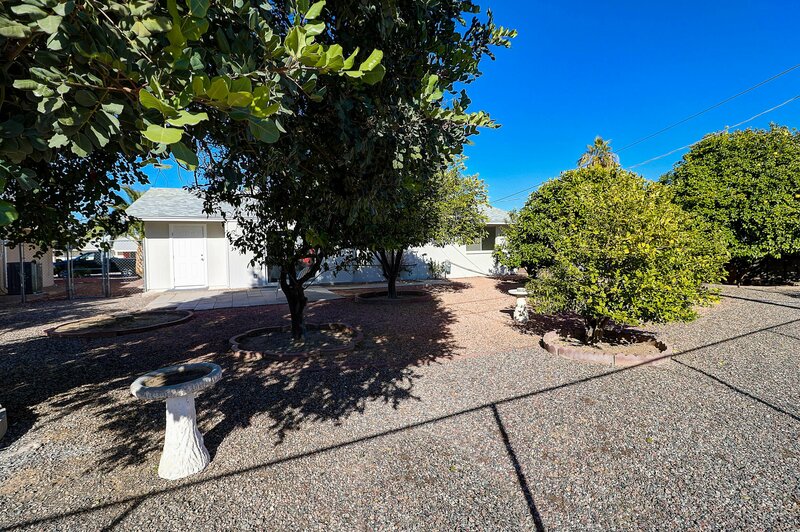 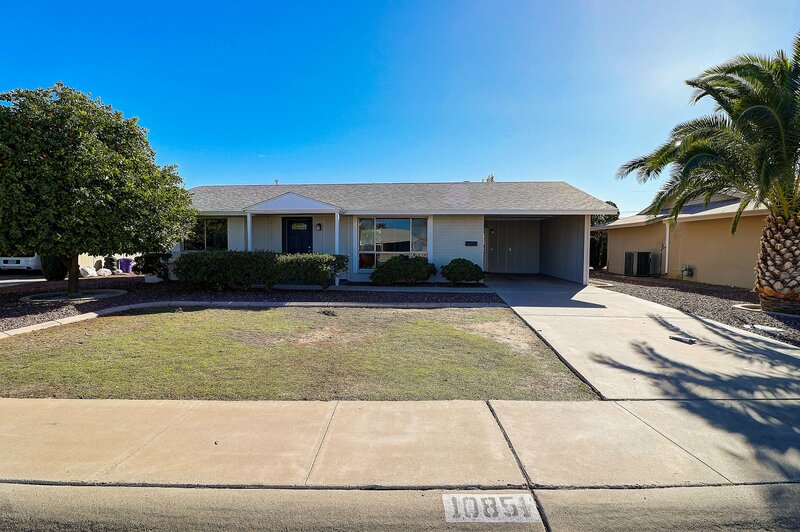 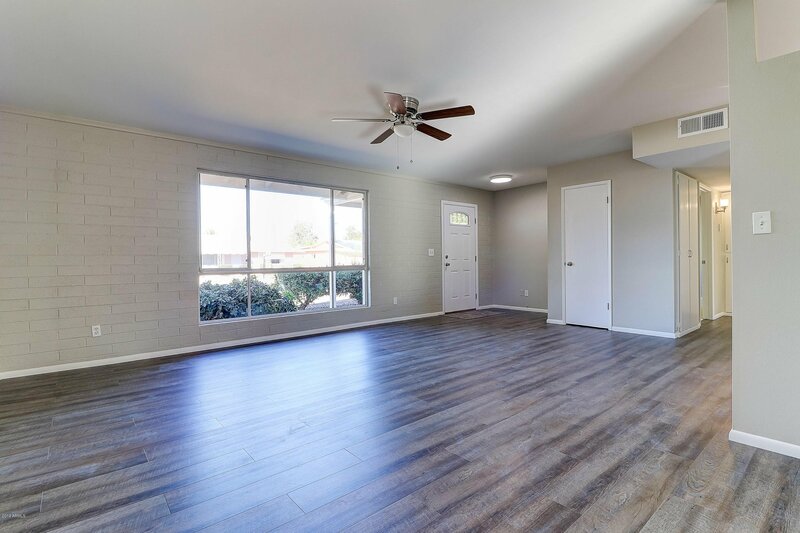 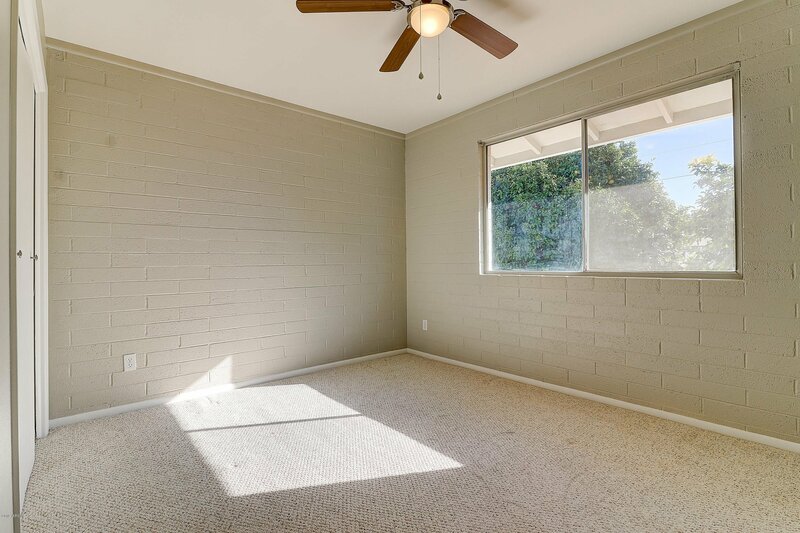 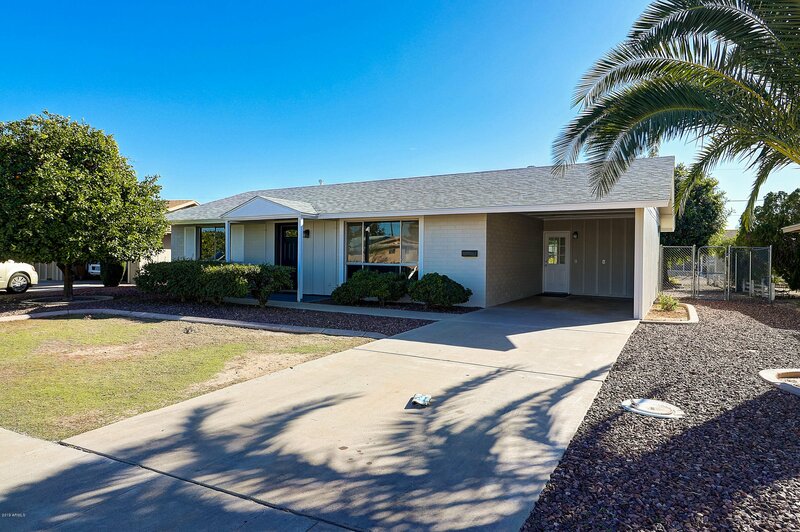 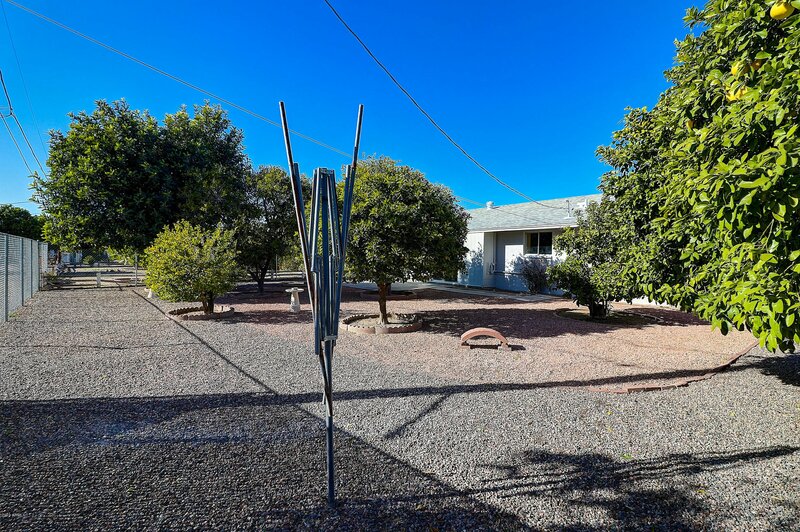 Beautifully remodeled home in the Heart of Sun City. 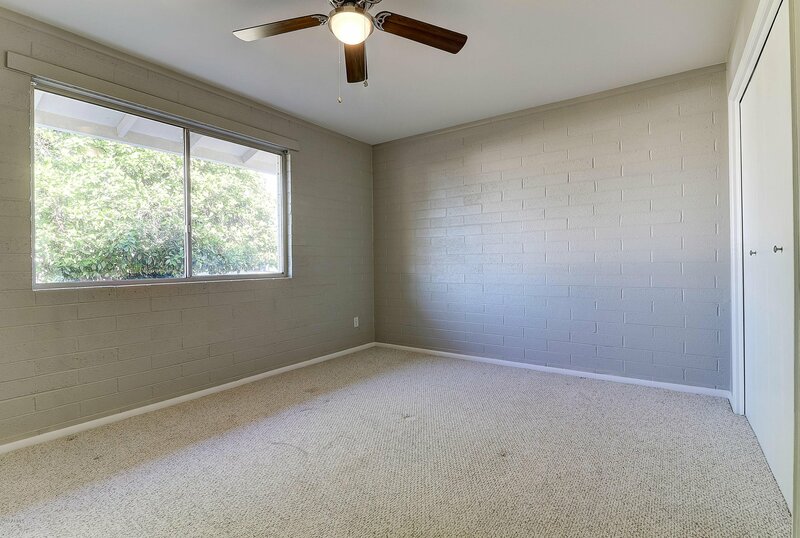 Freshly painted on the interior and exterior, new roof, new laminate flooring through out the home except for carpet in the bedrooms. 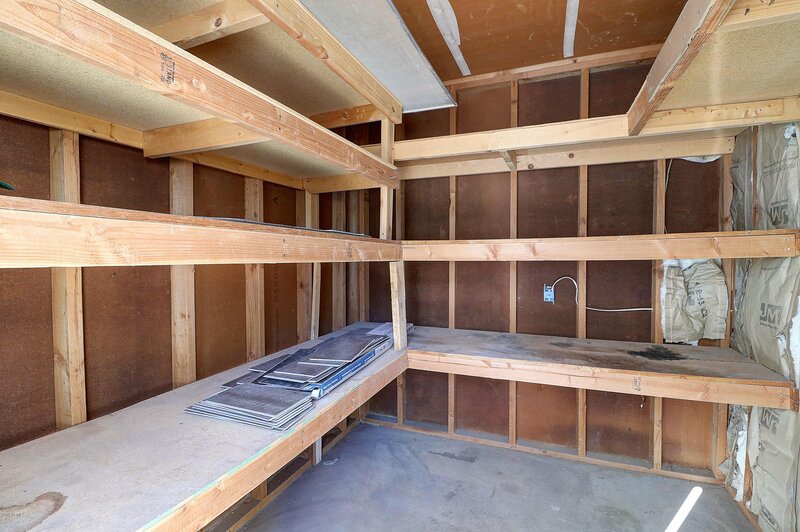 No popcorn ceilings Sewer line from street to house replaced. 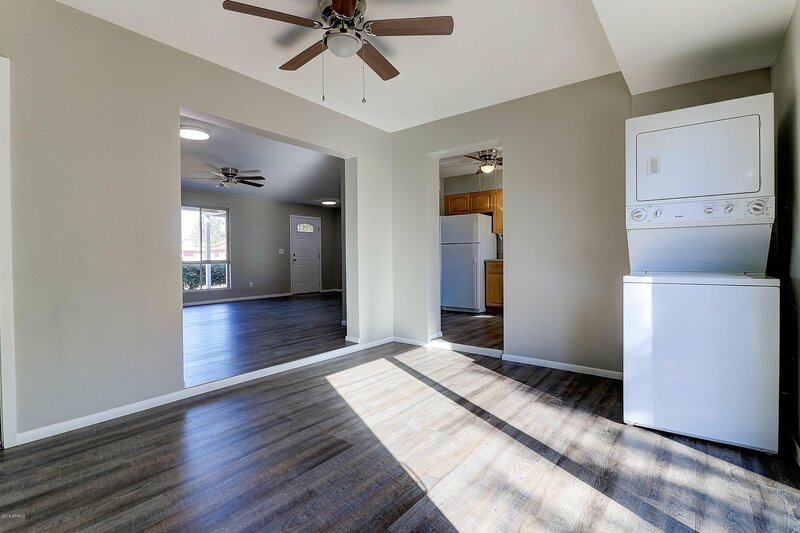 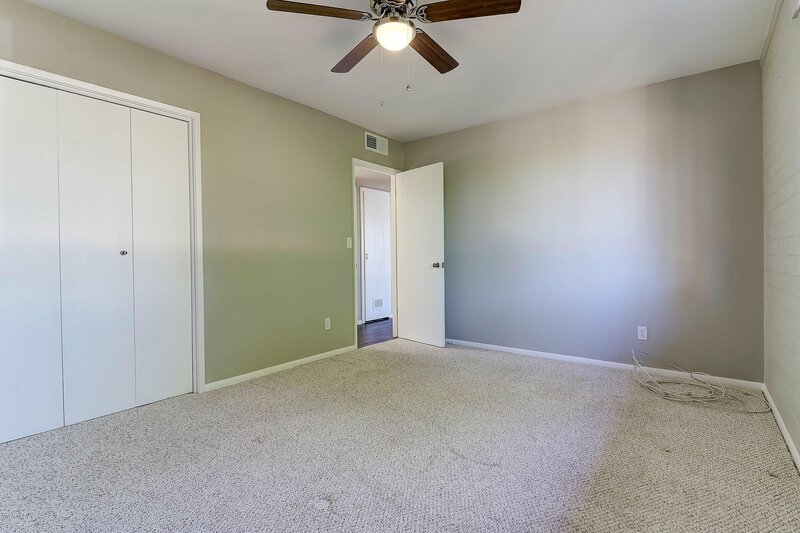 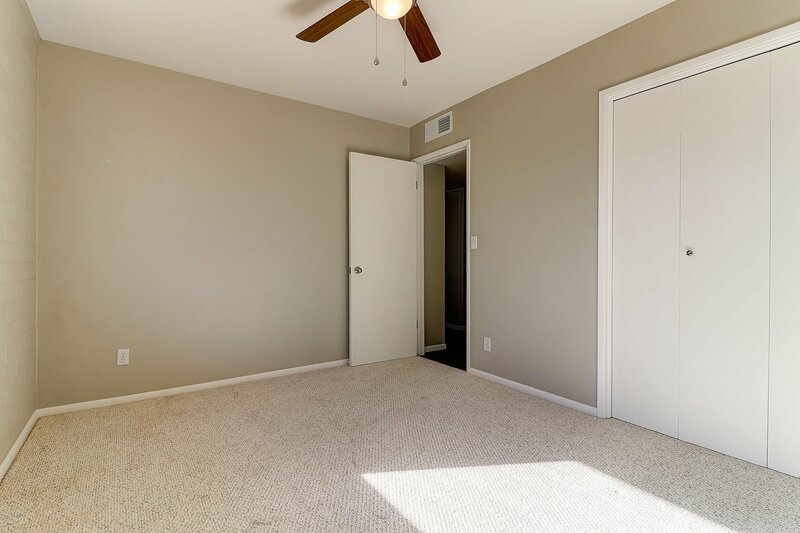 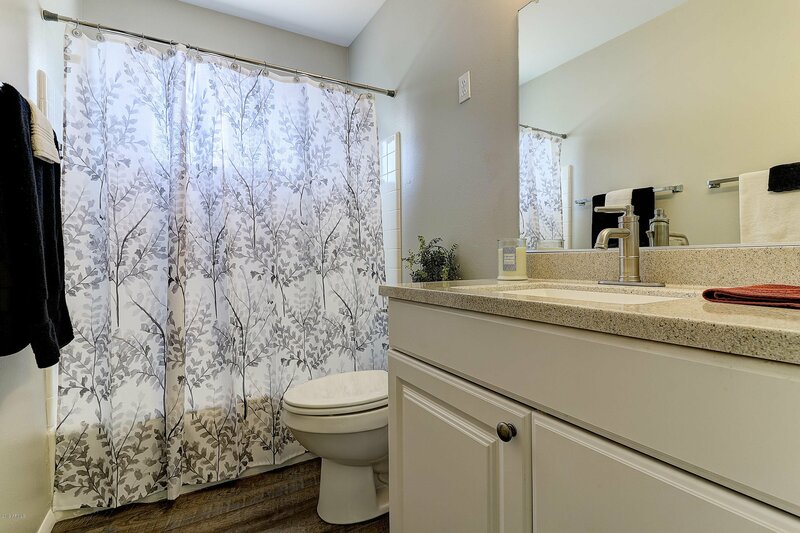 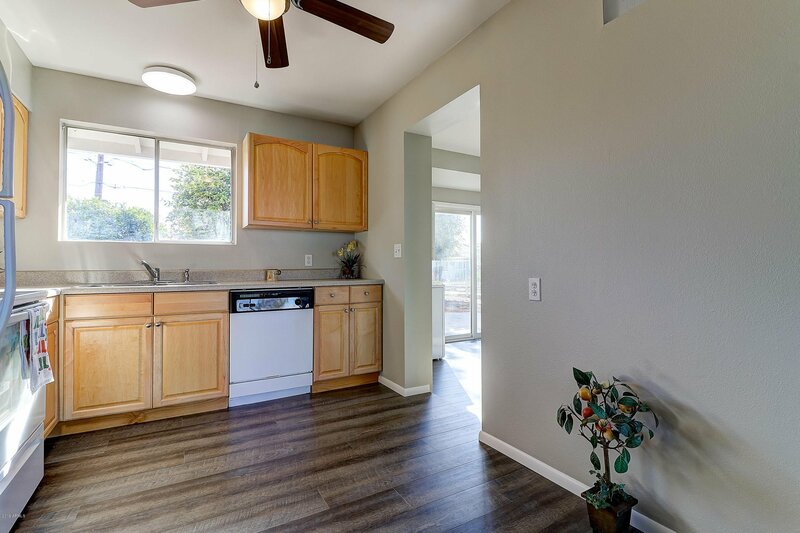 Home has lots of natural light, New light fixtures and fans. 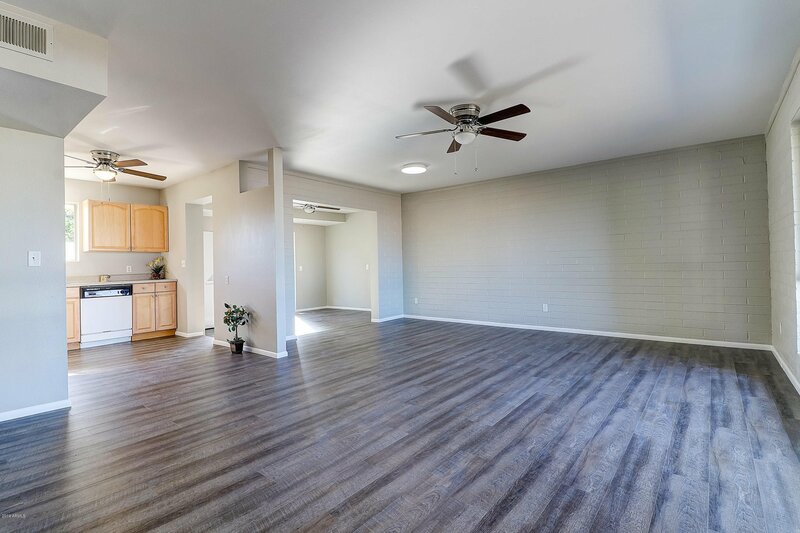 Wall removed to open the kitchen to the family room. 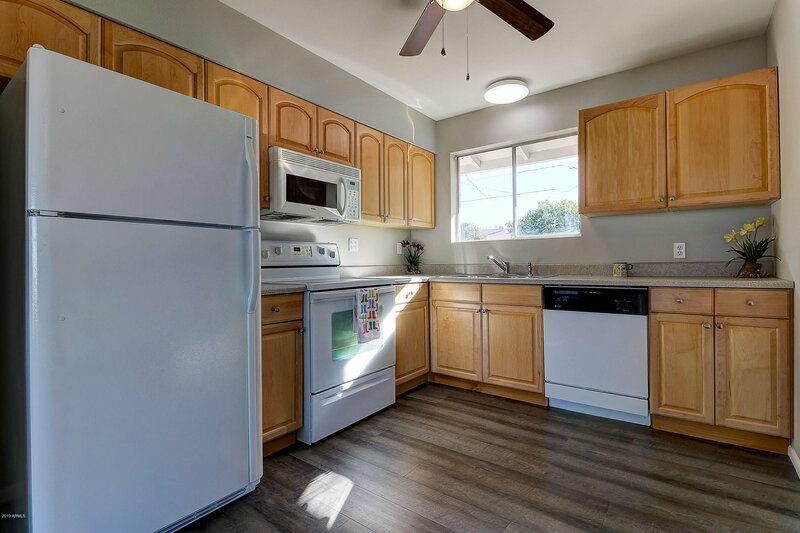 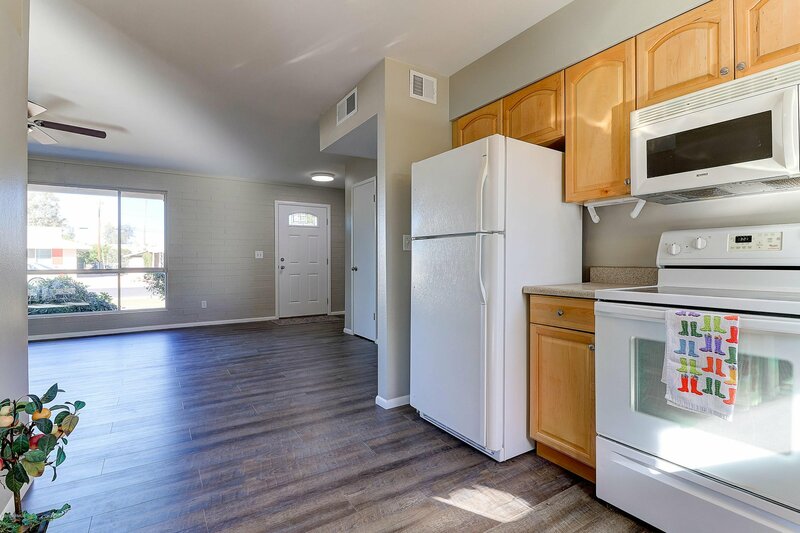 Kitchen is spacious with maple cabinets,dishwasher,built in microwave, flat top stove, refrigerator and a window overlooking the backyard. 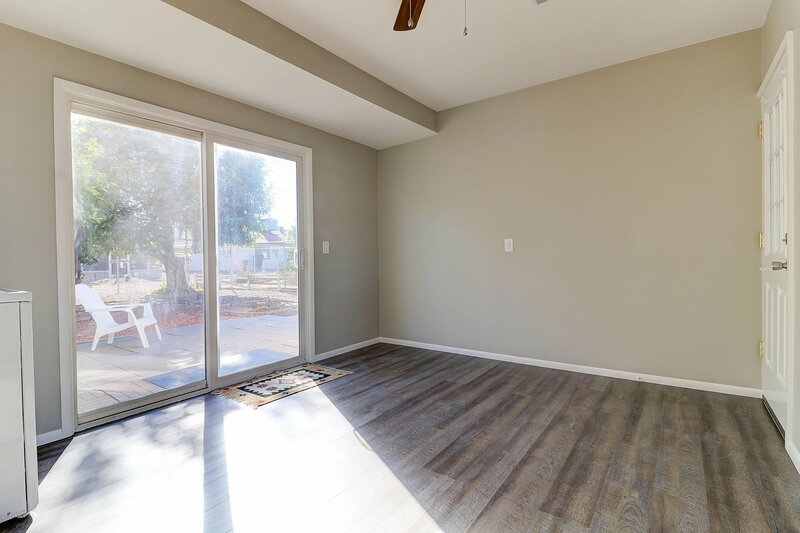 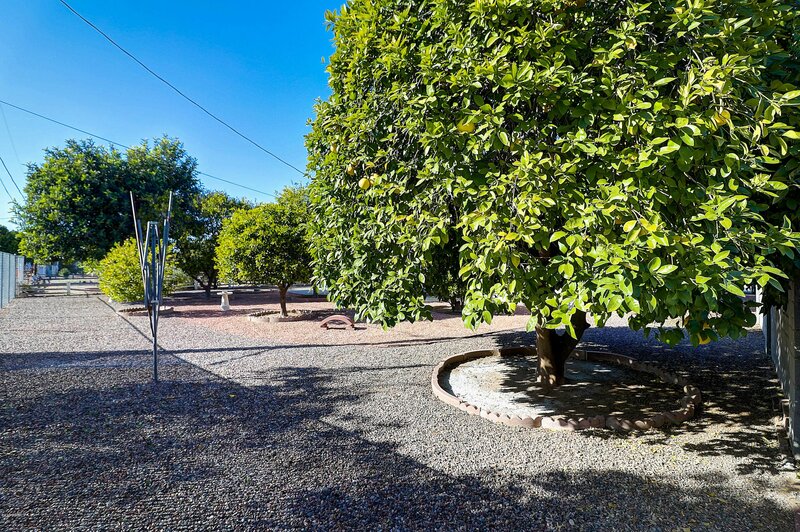 There are patio doors off the laundry area leading out to the fenced back yard with an abundance of fruit trees. 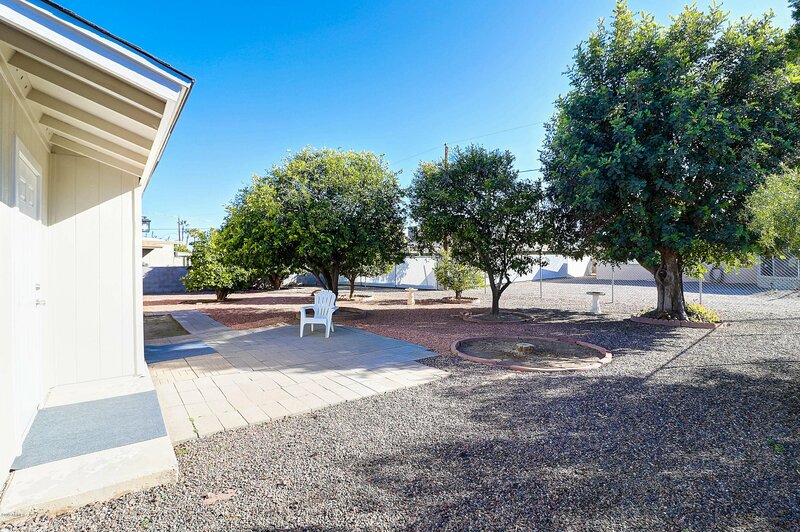 Easy access to the recreation center and shopping and bus lines.